Beachhead Studio, head of Call of Duty: Ghosts‘ Clan War division and creators of the official Call of Duty App, are cancelling today’s Pacific Diamond Division Clan war while they attempt to push through unforeseen technical difficulties. Regrettably, due to issues with online play the Pacific Diamond Division Clan War has had to be cancelled for today. 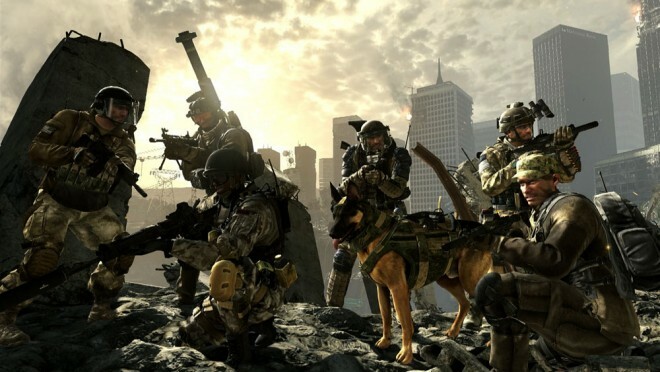 The issues appear to be affecting a majority of PlayStation 3 and PlayStation 4 owners, according to the Call of Duty: Ghosts sub-reddit where users are reporting they are unable to access servers. Meanwhile, many official forum user have reported troubles accessing the official Call of Duty App. Beachhead says they will “evaluate” the situation before moving forward. Once these issues are resolved we will evaluate the all current Clan Wars to ensure clans are fairly treated. Issues began earlier Sunday night when reports of bugged clan emblems began surfacing. Sadly, it appears Beachhead was unable to resolve the situation. Stay tuned for more info. Thanks to those of you who participated in the first Diamond Division Clan War. We appreciate your enthusiasm and patience. There was an issue today that prevented PS3 & PS4 members from contributing to the Diamond Division Clan War for some time. We are committed to fair play and have developed what we believe is a reasonable and equitable plan for awarding DD entitlements. East Coast DD war: we will be recreating the Clan War at the time the issue occurred. East Coast DD war: We will compare each Clan’s standing at that point in time with the final outcome of the Clan War. East Coast clans will receive credit for the better of the two standings between the final outcome and the recreation. All DD participants who placed 4th or above will receive credit for Body Count gear for this Clan War only.